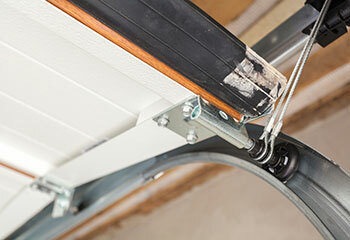 Are you dealing with a broken garage door spring? Do you want to have a new door installed? These customers had similar issues, and our team managed to do more than help them. Scroll down to see the latest projects we've completed. Customer Issue: The door stopped rising all the way, lifting only halfway open before coming to halt and then closing again. Our Solution: Our team recognized this issue, and checked the opener’s movement setting first. Sure enough, some adjustment to the destination and lift, as well as the safety lock, had the door working properly again with its frame. 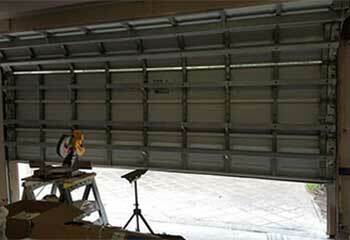 Customer Issue: Looking for a new door for his garage. 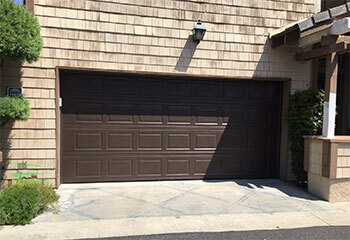 Our Solution: We took precise measurements of the new garage, then, after we presented Mr. Riley with a few choices, he picked a model from Clopay's MODERN STEEL™ collection. We returned with the new door and installed it to the customer's satisfaction. Our Solution: Upon inspecting the rest of the door, we discovered that actually more than one roller broke. Luckily, we came prepared, so replacing the other damaged units was no trouble at all. After we finished, we lubricated the new rollers, and the hinges, and made sure the door moved silently again. 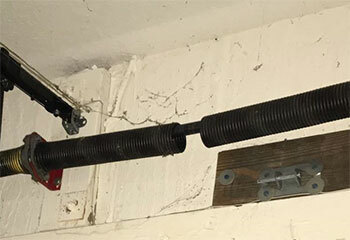 Customer Issue: Broken door spring. Our Solution: Mr. Wilson's torsion spring broke and he was unable to use his door. Our technicians quickly replaced the damaged unit, and then checked to ensure neither the panels nor the cables were damaged. Finally, we adjusted the new spring's tension to ensure the system opened and closed smoothly.